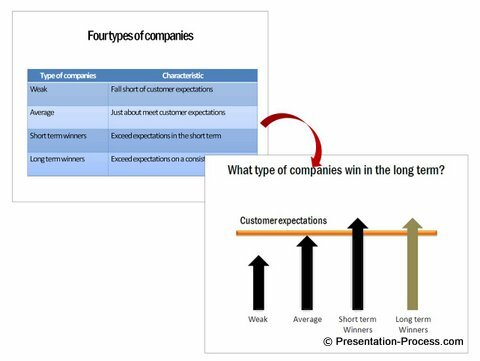 See a presentation example of converting a boring table into simple and visual diagram. See the difference in clarity and effectiveness of the message. 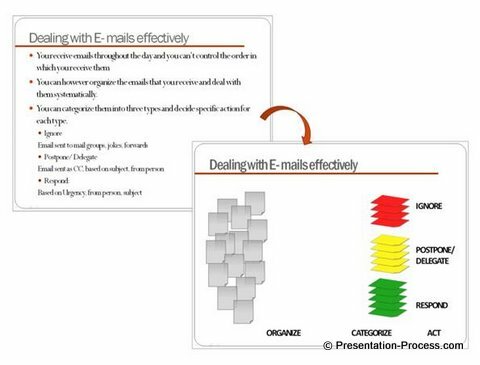 A complex PowerPoint table can be animated to help explain step-by-step. But such an animation does not solve all the issues identified above. 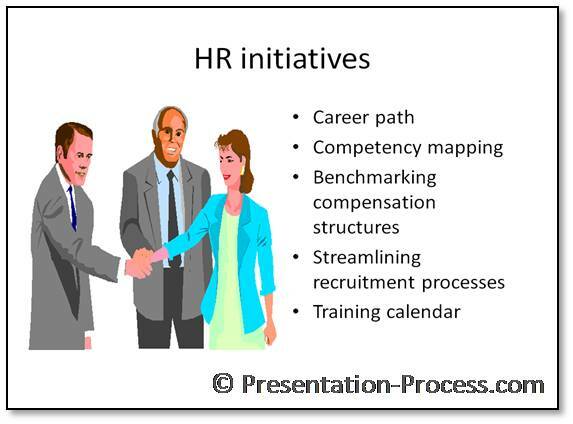 Let us convert the slide into a visual diagram. These are the only words that need to be there on the slide. The rest can move into the speaker notes. We can explain the concept using simple arrows and lines. We can capture the changes and movement using custom animation. 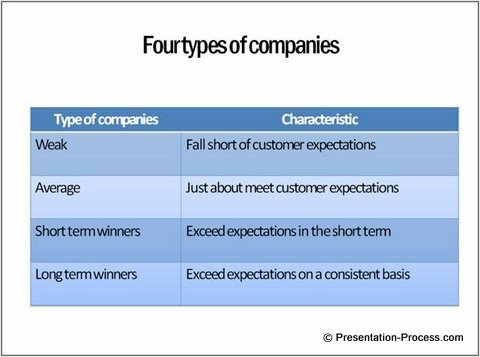 Companies can be divided into four types based on how well they respond to customer expectations. A lot of companies fall short of customer expectations and lose their way. We call them ‘Weak’ companies. The companies that win big business exceed customer expectations. However, not all those companies that win big business stay that way for a long time. The reason is – customer expectations keep rising all the time. It’s only those companies that match the growing demands of customers on a dynamic basis that win in the long term. The key to converting a text-based slide into a visual diagram is to stop thinking like a ‘Document writer’ and start thinking like a ‘Movie director’. This change in approach will automatically make you visualize the way various objects interact with each other on the slide. If you are used to developing slides in the traditional way, you may need help in visualizing your information. You need a structured way to identify the objects and relationship quickly and correctly. In this example of transformation from table to diagram, the process for the makeover is just touched upon. There is a simple 3 step process to help you identify the objects and their relationships accurately. 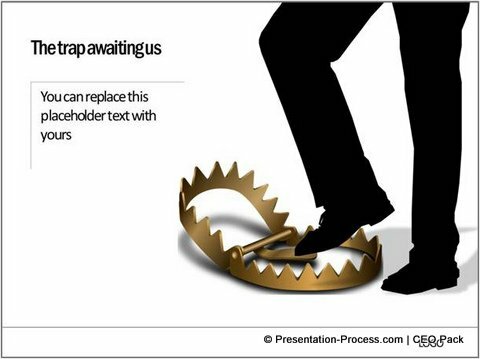 We teach this process in our workshops and the same process is also explained in our ebook – Visual presentations. When you understand and practice the simple process you can represent any concept as visual diagrams. When your audience understands and remembers your message better, they make decisions quickly. When they take quick decisions your business grows fast.